Picture by Gretchen Quarterman, 1 January 2011, Lowndes County, Georgia. This one is redder than the one we posted a year ago. 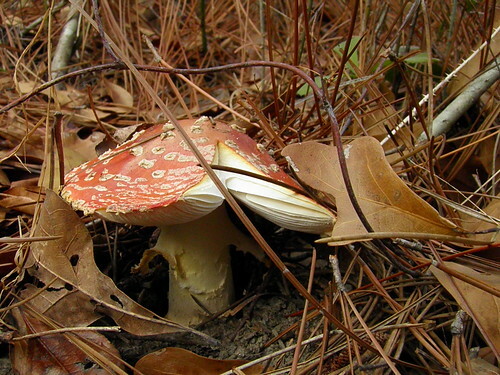 The older browner one looks like an amanita pantherina moreso than a muscaria. 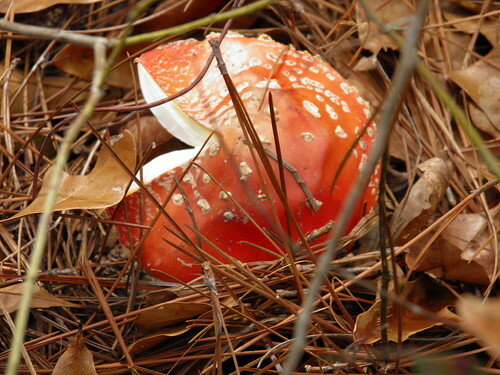 both have psychoactive properties. Interesting. 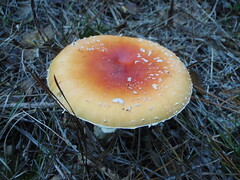 I never heard of amanita pantherina before. Hm, looks like that one has mostly European and Asian distribution. These mushrooms are in natural local south Georgia forest, so they're probably not that, though.